The bulk of this volume concerns John Locke and his descendants. Female lines are frequently carried forward for several generations, so this work also has much valuable information on many other families of southeastern New Hampshire (Batchelder, Lamprey, Marden, Moulton, Perkins, Philbrick, Sanborn, Trefethern, and many others). Description: The bulk of this volume concerns John Locke and his descendants. 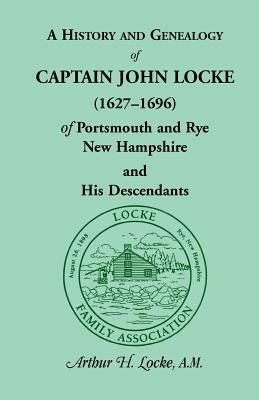 Female lines are frequently carried forward for several generations, so this work also has much valuable information on many other families of southeastern New Hampshire (Batchelder, Lamprey, Marden, Moulton, Perkins, Philbrick, Sanborn, Trefethern, and many others). A Magnificent Irishman from Appalachia: The Letters of Lt. James Gildea, First Ohio Light Artillery Battery L.